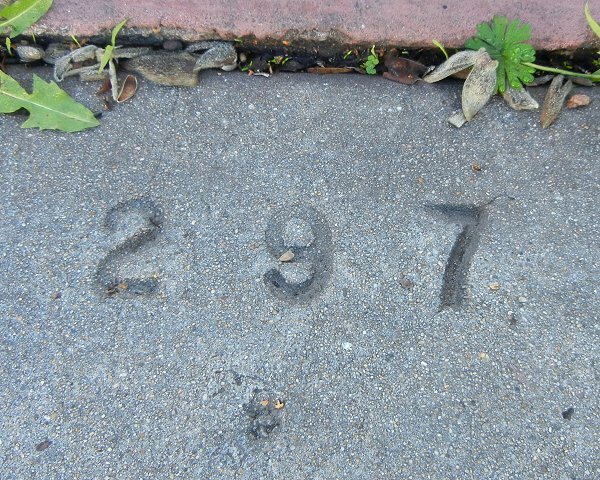 A small tract in deepest East Oakland preserves some very old sidewalks. The stretch of 104th and 103rd Avenues between International Boulevard and E Street — call it Iveywood West — features the following curiosities. These arrows in the pavement point away from the street. On the north side of 104th, they appear to correspond to the edge of driveways. On the south side, they don’t. On 103rd they only appear on the south side. 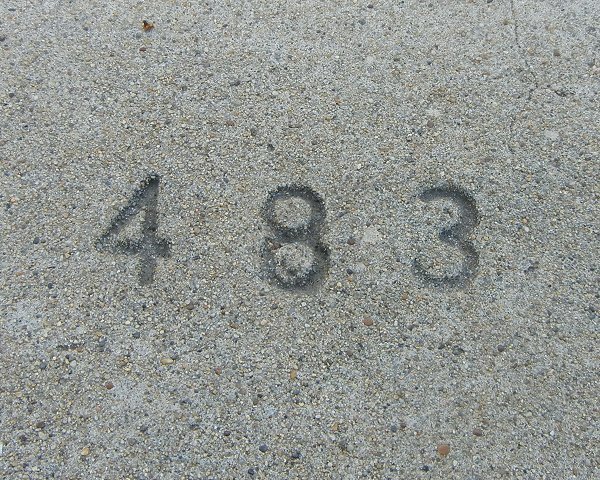 Both streets also have stamped in the concrete what I assume are lot numbers. This is on 104th. And this is on 103rd. They don’t correspond to the addresses. 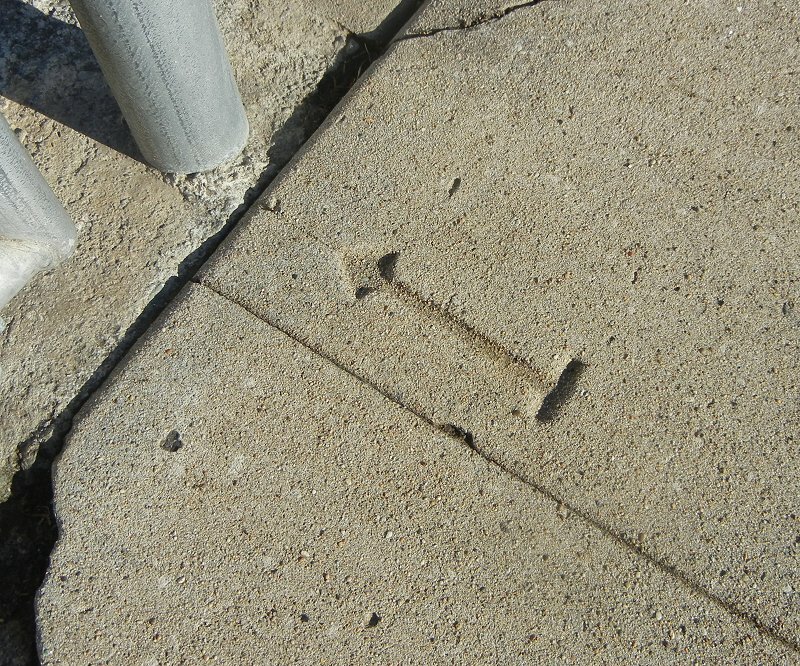 The sidewalks are very consistent in appearance. I don’t recognize the maker’s style, so I can’t say who laid them down, but I believe they date from around 1910. 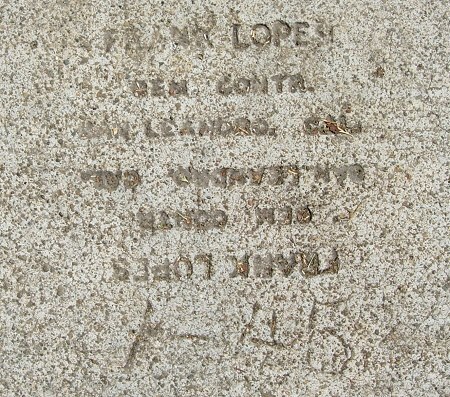 The 1912 map suggests that the landowner was Ludovina Ivey. She was Ygnacio Peralta’s daughter and developed large tracts of Oakland near the San Leandro line. (She also owned the undeveloped land now preserved in King Estates Open Space.) Google Maps calls the adjacent neighborhood Iveywood. I’ve seen lot numbers and arrows in one or two other places, but I can’t recall exactly where. If one of you knows of any, please add a comment. 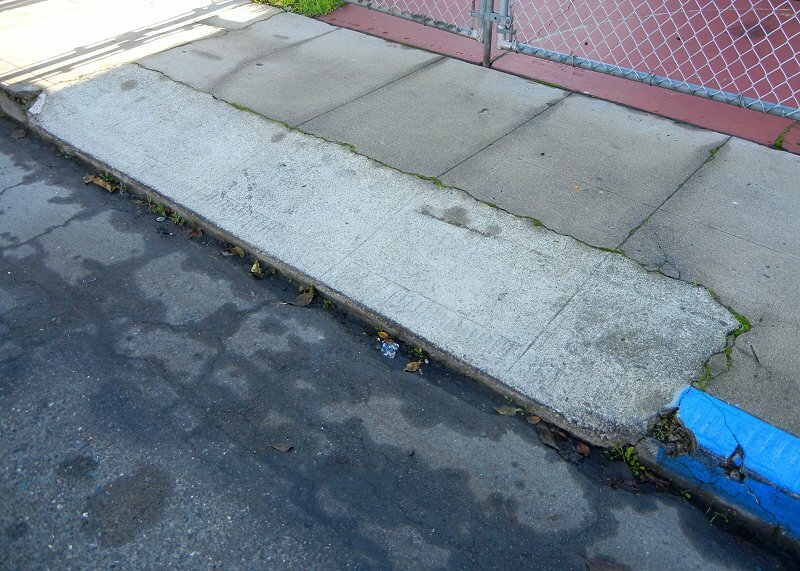 Another odd thing is the appearance of many of the driveways. 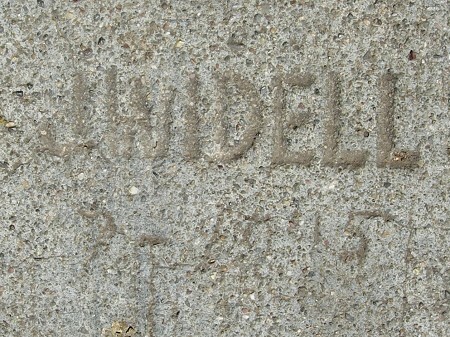 They appear not to have been included in the original sidewalk, but instead were put in shortly afterward by a separate contractor. 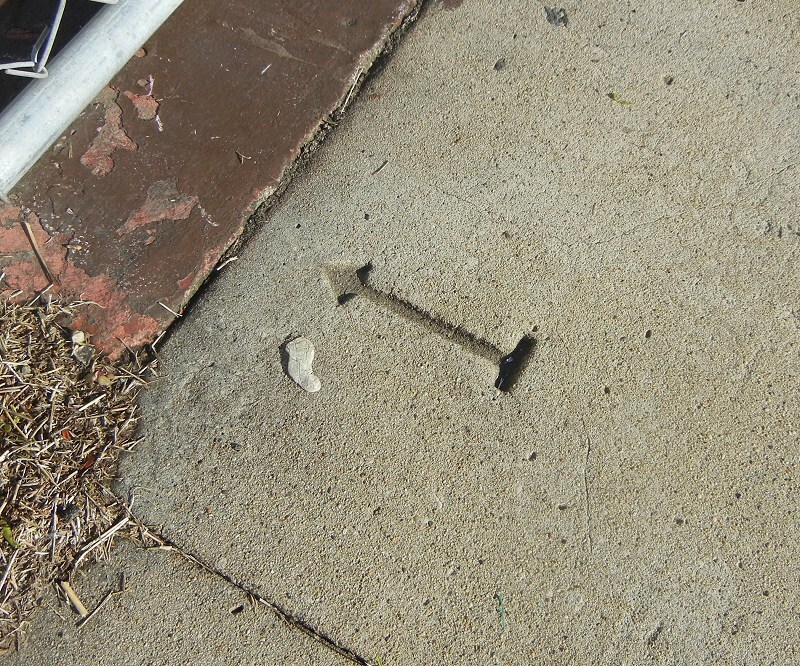 A few, like this, were made by sledgehammering the curb. Almost none are stamped by their makers, and the workmanship is often poor. I have the impression that the neighborhood was laid out without providing for driveways, under the assumption that ordinary people didn’t own cars. 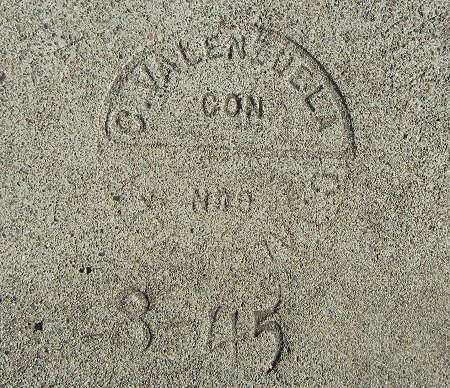 In other news, I found two more sidewalk marks worth preserving here. As these continue to crop up, I’ll post them each week. 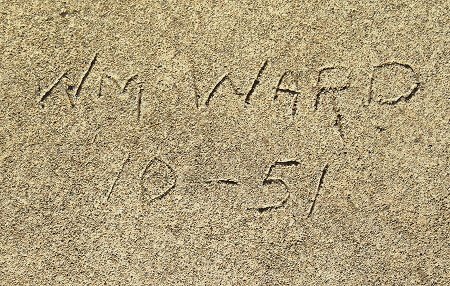 Unlike my previous example from 1945, this uses only the last two digits of the year. Only the second Wm. 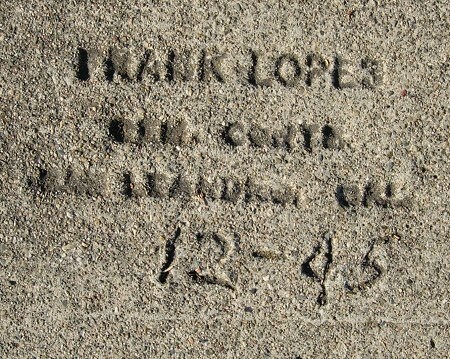 Ward mark I’ve found. 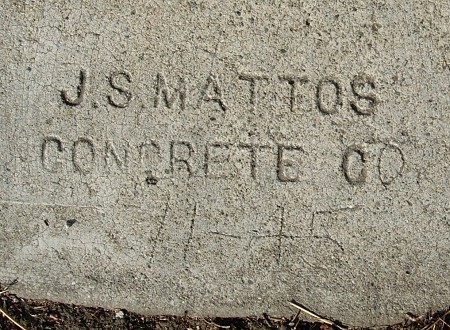 1945 – J. S. Mattos Concrete Co. 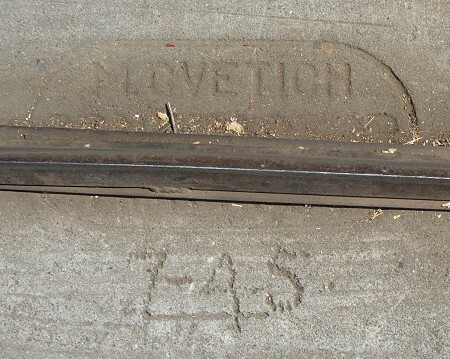 There are only two dated stamps by this maker in the entire city of Oakland. The other is from 1944. Yes I documented this year before, but that one is a double mark. 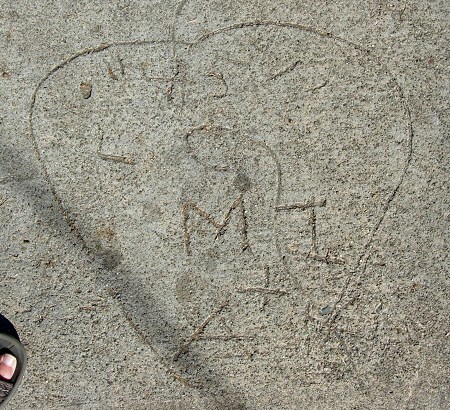 Luckily, this mark was not totally hidden by a driveway gate. Unluckily, I didn’t get a chance to sweep it clean before photographing it.